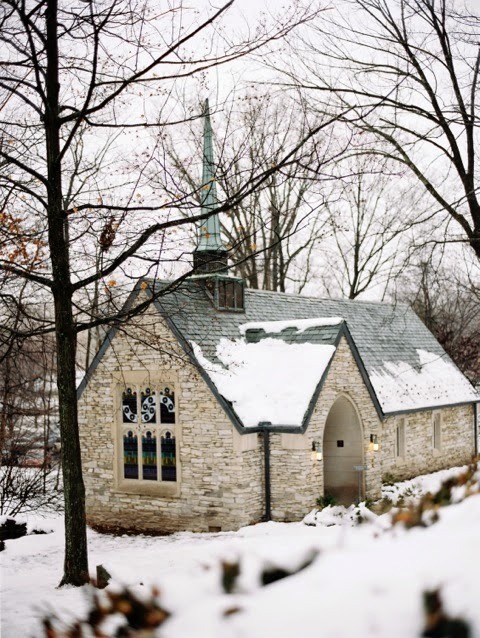 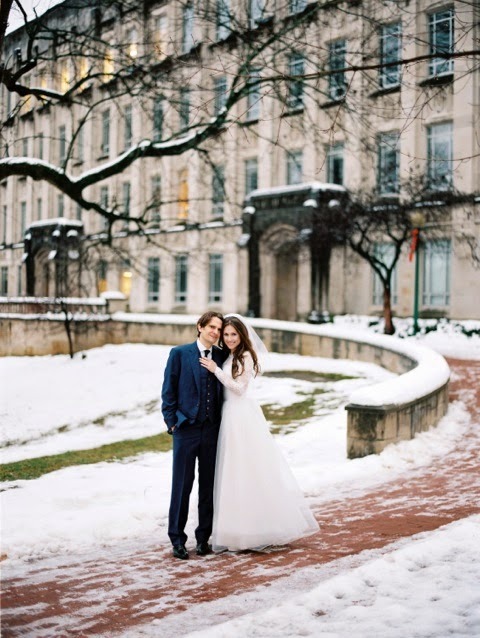 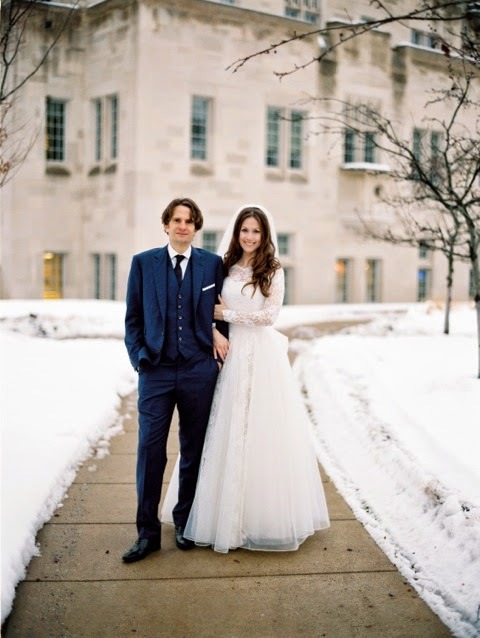 Stephanie married last Winter in the idyllic setting of Bloomington, Indiana. 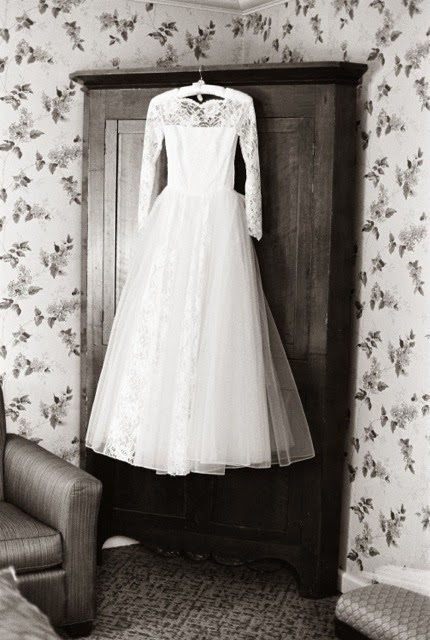 Stephanie is such a delightful girl and I was really pleased to meet her charming parents, Steve and Jane, who flew over from Canada to help choose the dress. 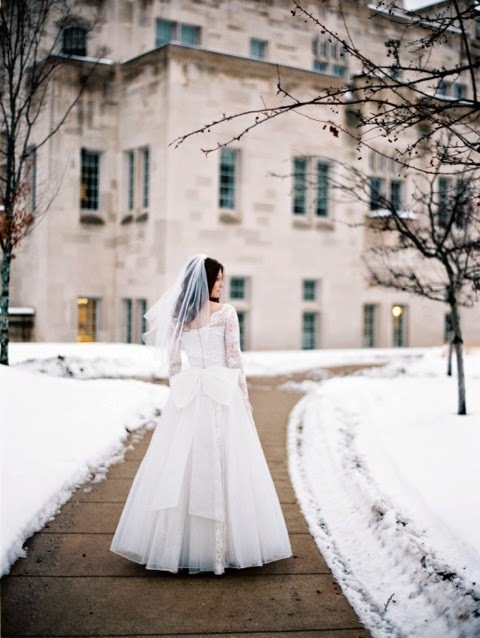 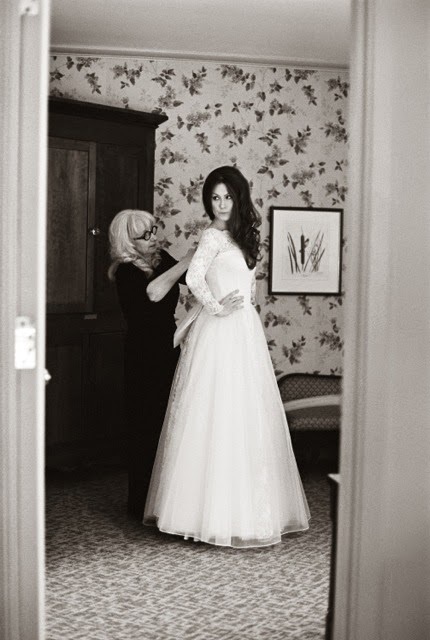 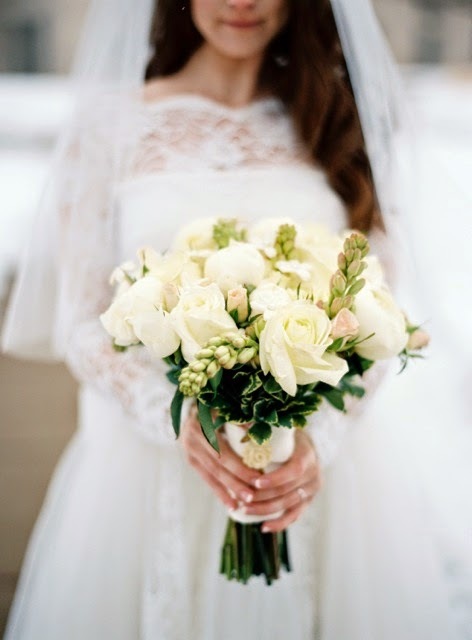 “The dress was amazing, absolutely beautiful and all I could have hoped for! 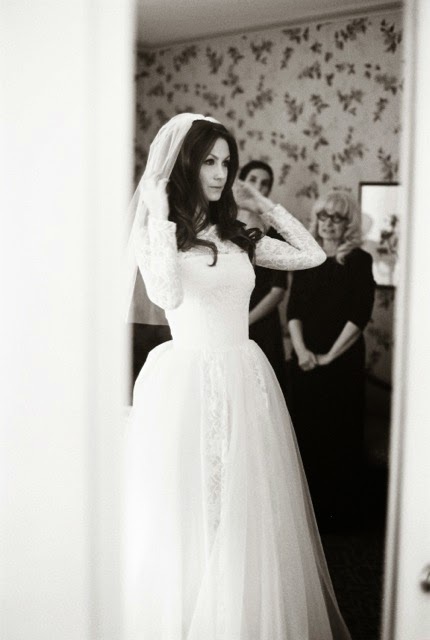 I received so many compliments, and people said it was one of the most stunning gowns they’d ever seen. 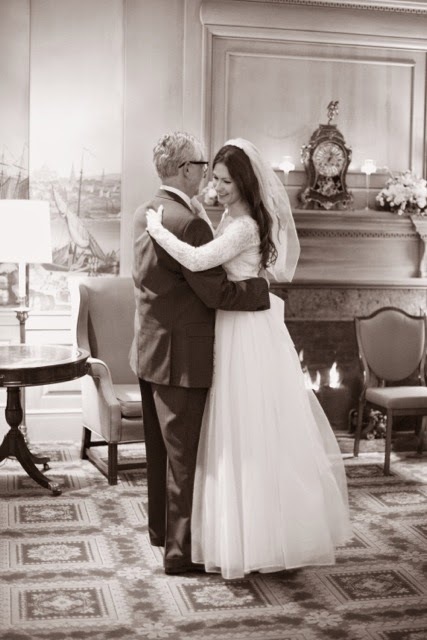 Thank you for all of your hard work, and for helping to make my big day so special. 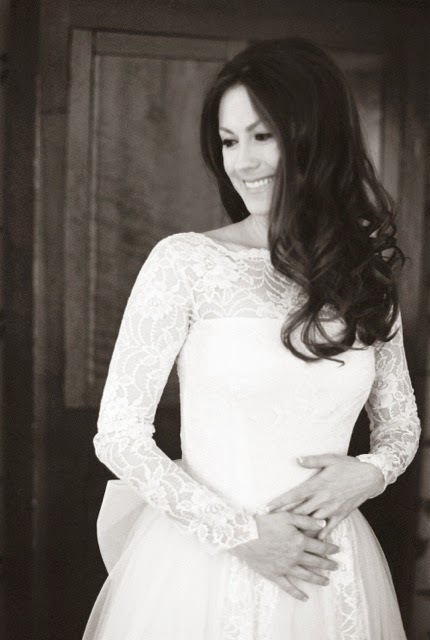 Thanks so much for sharing the pics, Stephanie and Brian. 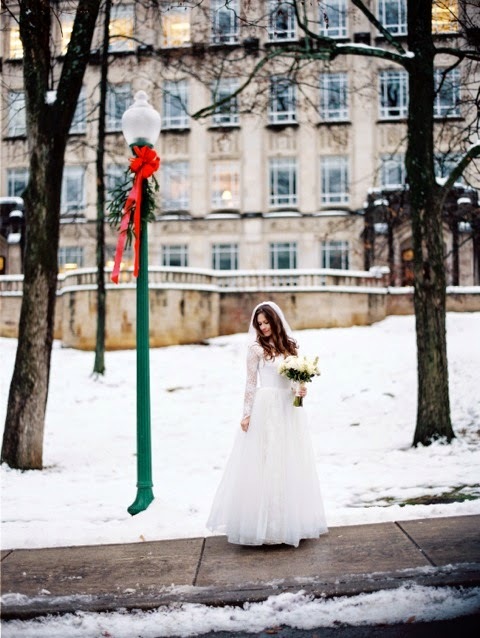 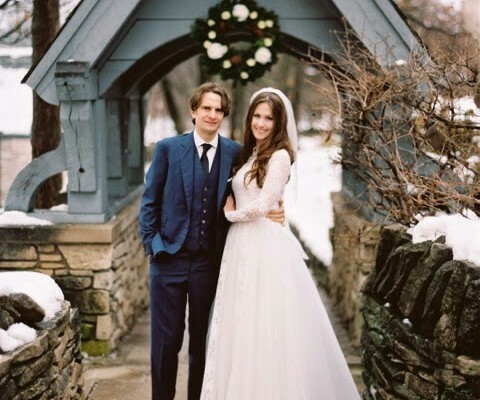 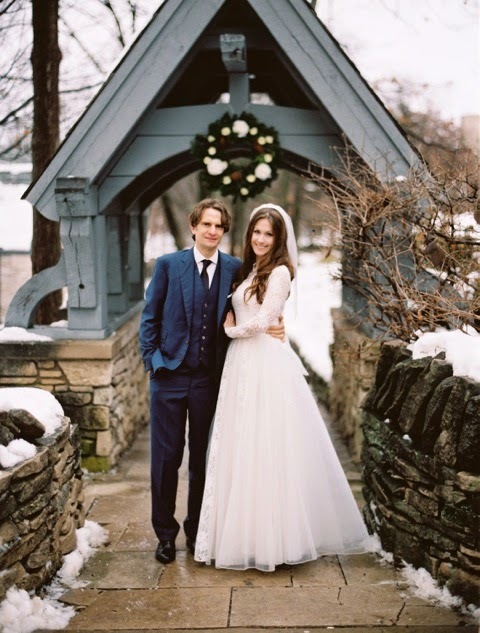 We love your snow-kissed 1960s style!And thanks to USA photographer Eric Rudd for the pictures – you can see lots more of this gorgeous wedding on his blog here.